Recently, Philippine firms have paid a visit to Vietnam to discuss investment and cooperation opportunities in the country. 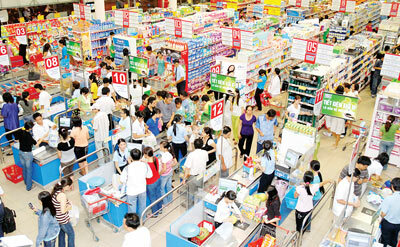 Philippine enterprises stressed that they would intentionally set a target to Vietnamese retail market in future. According to population structure in Vietnam, there are 30 percentages of population living in cities and more than 70 percentages of people living in rural areas. As this reason, Vietnam Retailers Association says that retail systems like supermarkets, traditional markets, shopping malls and online sale services have been founding and developing. Particularly, representative of Vietnamese leading retailers like CoopMart with 300 supermarkets nationwide; The Gioi Di Dong (Mobile World) with 300 stores and Nguyen Kim Shopping Center with 30 stores have developed rapidly in previous years to service consumer’s demand. Especially, food processing industry is considered as Vietnam’s potential market to attract foreign investors. Annually, Vietnamese rice has exported to the Philippines reaching US$ 600 million, up 169 percents about value and 167 percents about output respectively. Economic experts affirmed that Vietnam will remain a potential market for investment activities of food and agricultural processing sectior in upcoming years. Deputy Head of the Vietnam Trade Promotion Agency under Ministry of Industry and Trade Bui Thi Thanh An said that two ways trade export turnover between Vietnam and The Philippines reached US$ 3 billion in 2014, increasing three percents compared with 2013, including Vietnam export turnover to the Philippines reached over US$ 2,3 million in mobile, agricultural machinery and equipment. In first six months of the year, Vietnam attracted 74 projects of Philippine enterprises with total investment capital of US$ 300 million. The Philippines' Honorary Consul General in Ho Chi Minh City Le Thi Phung said: “In context of foundation for ASEAN community in 2015, trade cooperation opportunity between two countries in particular and among countries in the whole region in general will reach higher level”. 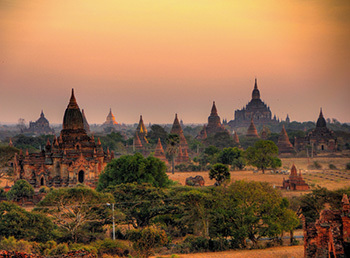 Representative of the Investment and Trade Promotion Center under Ministry of Planning and Investment in the southern region said, Vietnam has currently provided a lot of investment incentives and opened up of further investment opportunities for new businesses in producing high- technology devices, agricultural and food processing, textile and garment and car components.